Eye-catching and elegant, this optical crystal pentagon shaped paperweight will add star quality to any desk. It is an ideal gift, award or memento of a special occasion or event. 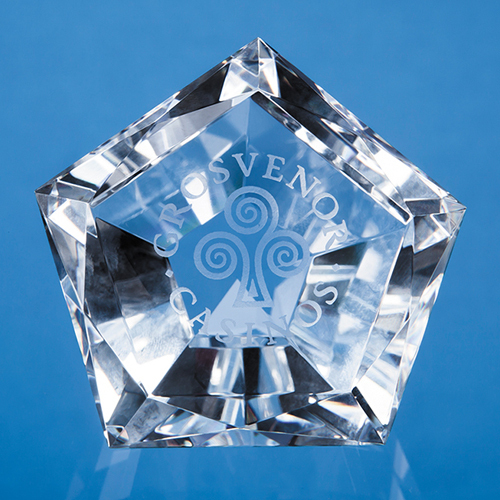 It's multi-faceted edges are bevelled and hand polished and there is an engraving area to include a crest, company logo or personal message. It is presented in a satin lined presentation box.